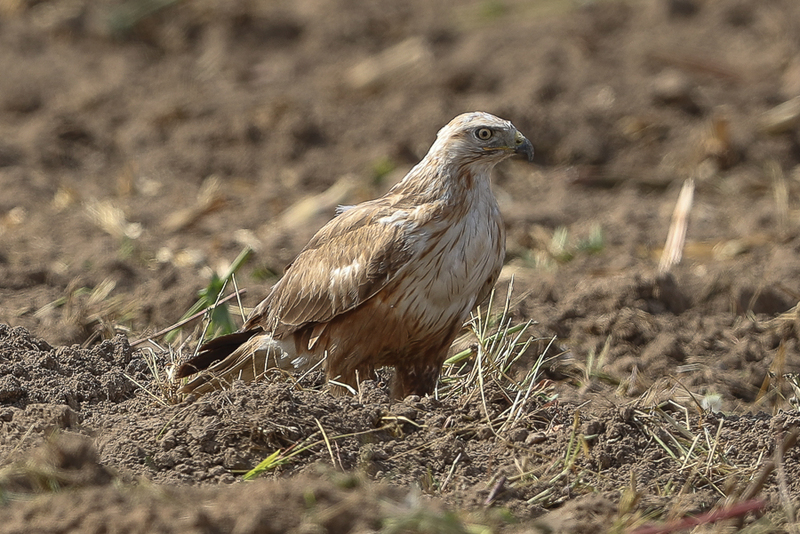 Whilst birding in Haradh in mid-January I saw at least five Long-legged Buzzards Buteo rufinus. These birds must be wintering in the area as there were too many in too small an area for them to be breeders. 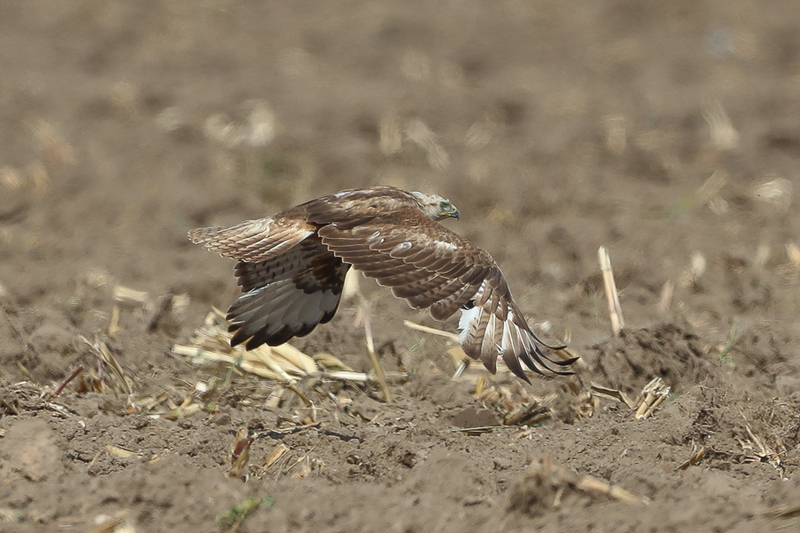 Long-legged Buzzard is an uncommon breeding resident in all areas of the Kingdom. 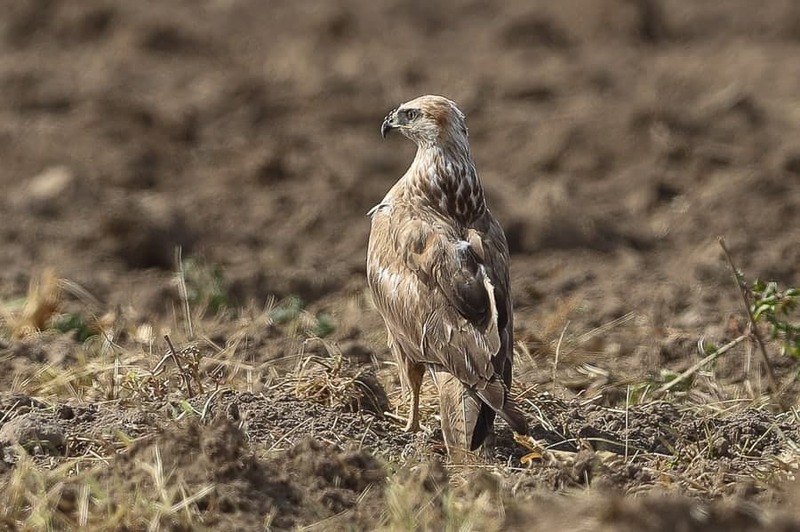 In the Riyadh area it is a scarce resident as well as a migrant and winter visitor. It is not seen as often as it has been as it has retreated for breeding to remoter areas as urbanisation and farming have expanded. 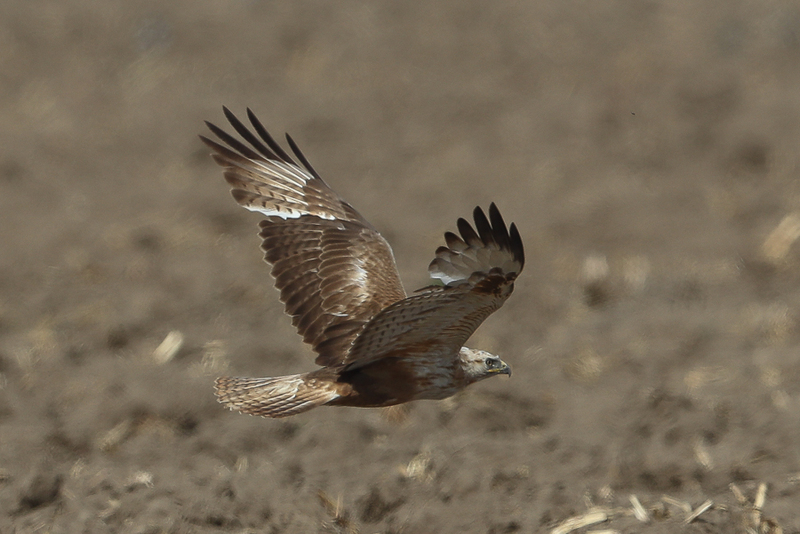 It remains a breeding resident in small numbers and sightings suggest a big increase in the winter population, with more sightings in the last few years than previously during this period. In the southwest it is regarded as an uncommon resident seen in all months except January. There is one recent record from the Empty Quarter of a bird coming to drink at an irrigation pipe at GOSP 2 although the bird is a resident of the Rub al Khali. In the Eastern Province it is a breeding resident, which is thinly distributed in small numbers. 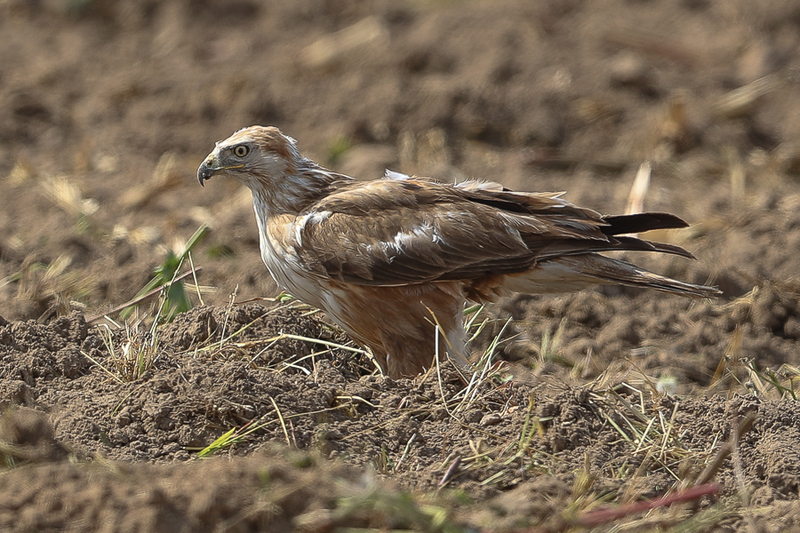 Although I have seen the species at Haradh before I have never seen this number so hopefully numbers are increasing.